I didn’t make the cake, but I did make the topper. 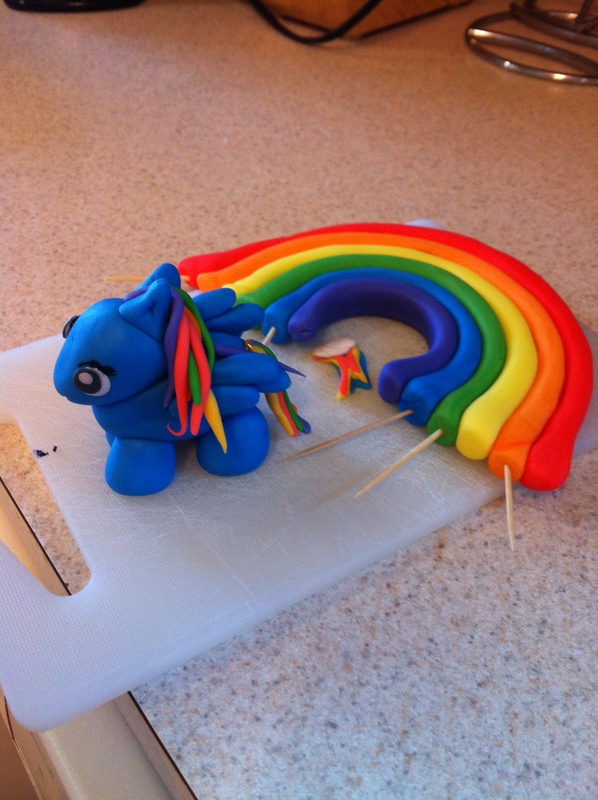 I only promised the rainbow, but I made the horsie pony too. how did you make it? 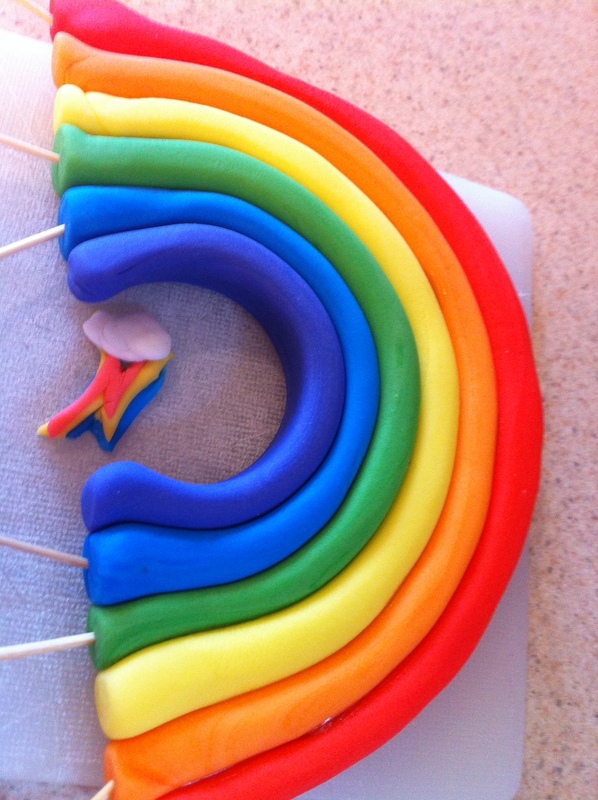 I love this… trying to find a way to make one for my daughter’s Care Bear cake. 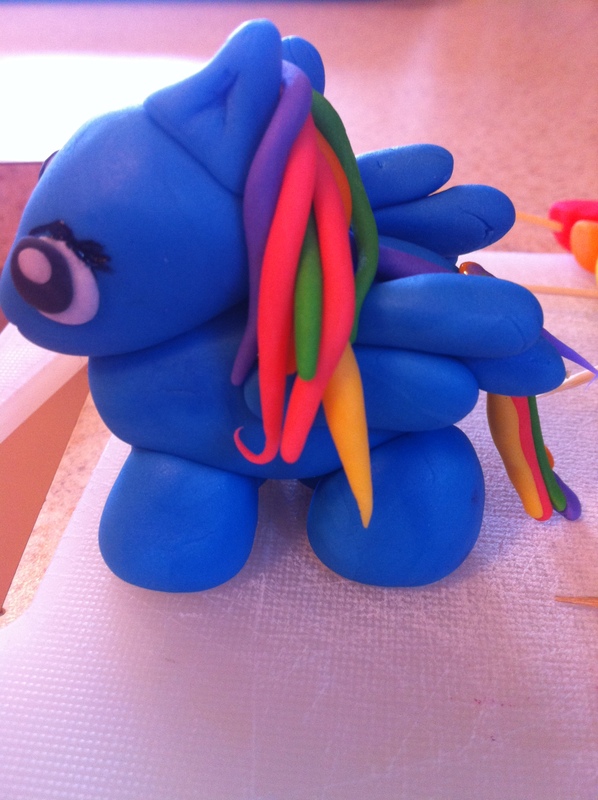 I made it from fondant. I bought the fondant from Michaels and dyed it with the gel food coloring. Care bear would be fun!! !